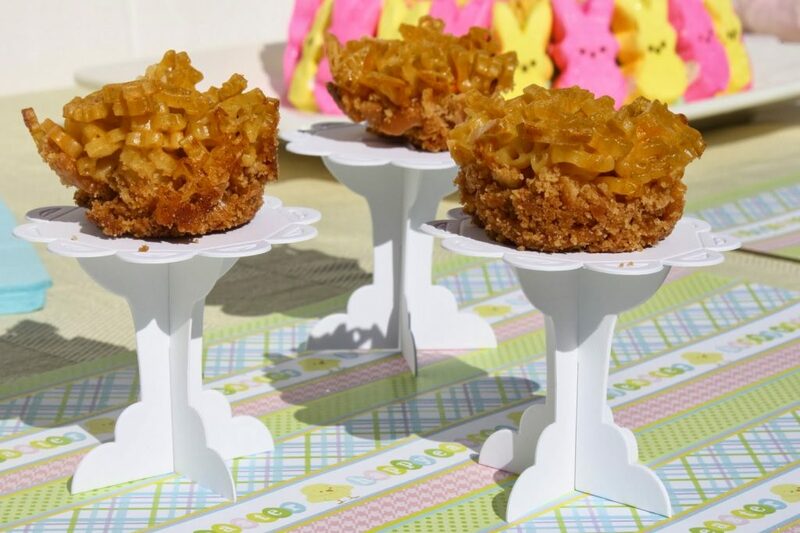 For more Easter inspiration, please follow our Pinterest boards for our latest pins or visit our Seasonal tab for all of our Easter related posts! One of my favorite holiday traditions is an Easter egg hunt. I can remember running around, hunting for eggs almost every year as a kid. 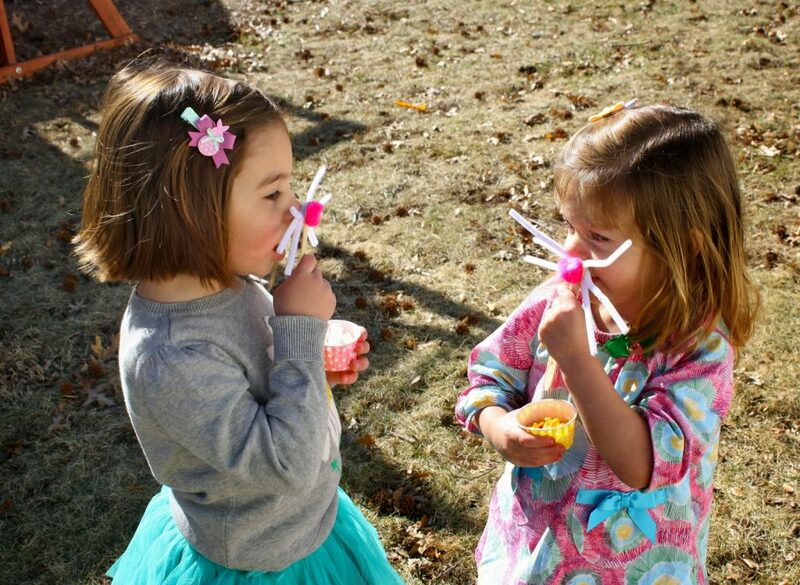 We had a few kids over last year, on Easter morning, for an egg hunt and we had a lot of fun. 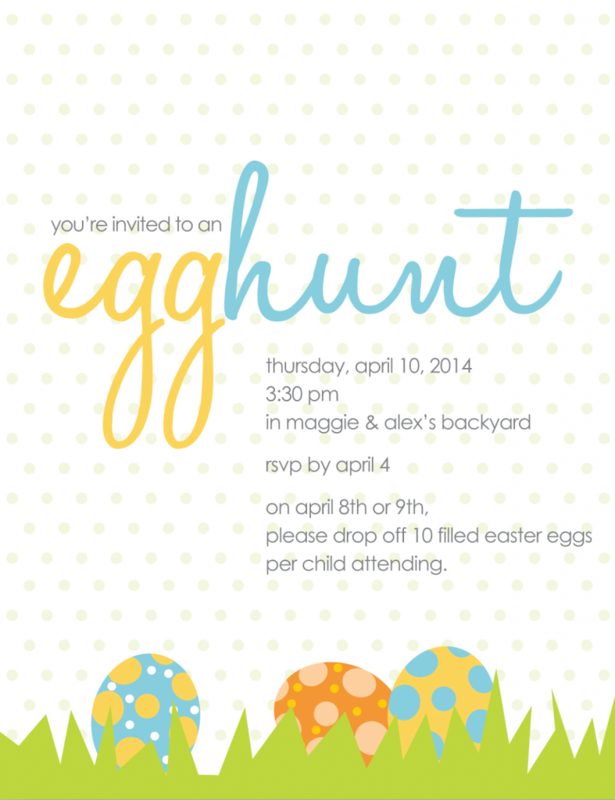 This year, will be having a bunch of the girls’ friends over the week before Easter for a big egg hunt playdate. We are very excited, and can wait to hide the eggs! Paper Goodies sent me this invite. 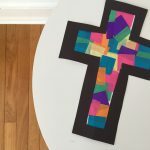 It can be printed or used in an email to guests. I love the colors & the shop owner is a pleasure to work with. 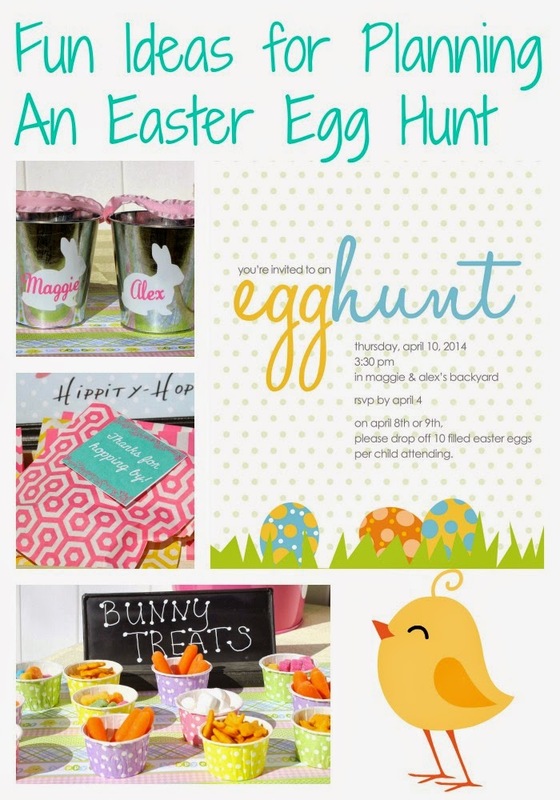 Besides Easter invites, she has a whole range of pretty invites and cards. 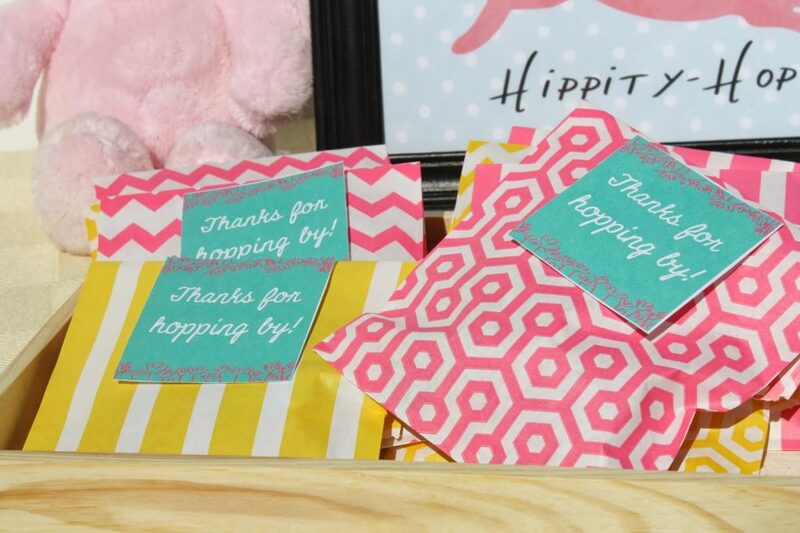 As you can see on the invite, I asked the guests to drop off some pre-filled eggs. 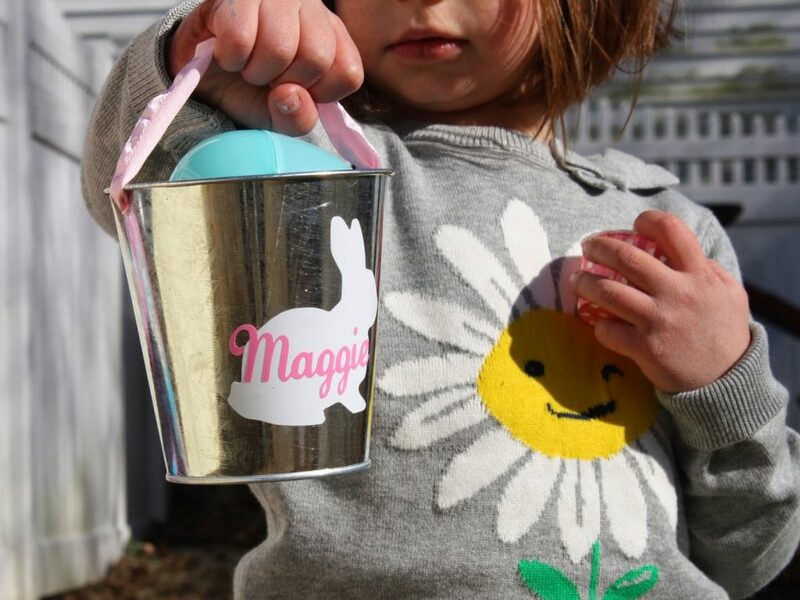 I don’t like asking guests to bring anything, but I think everyone bringing pre-filled eggs helps in a few ways: you know you have enough per kid, saves you time & money and then there is a variety in what’s inside the eggs! 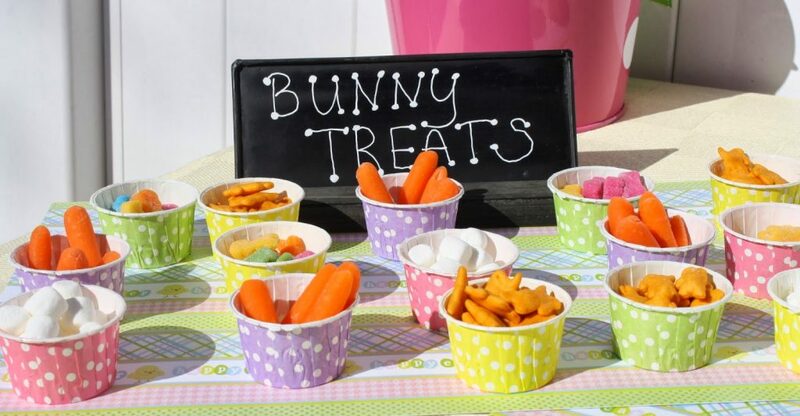 All of the party supplies (besides the banner, bunny sign & bunny tins) are from Outside The Box Papers. Their supplies are wonderful. I’ve gotten party supplies from many shops before and theirs takes the cake! Everything is great quality, beautiful colors and comes packaged so nice. Obviously the main event of an Egg Hunt is the hunt! We’ll spread eggs all over the yard and let the kids run wild, collecting as many as they can. Once they’re done, we’ll serve food and drinks and let the kids play outside. One extra activity I thought would be fun are these little “bunny disguises”. 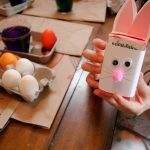 The kids can pretend to be bunnies and the parents can get some pictures. The cute bunny hair clips are thanks to Emmy’s Pretties. 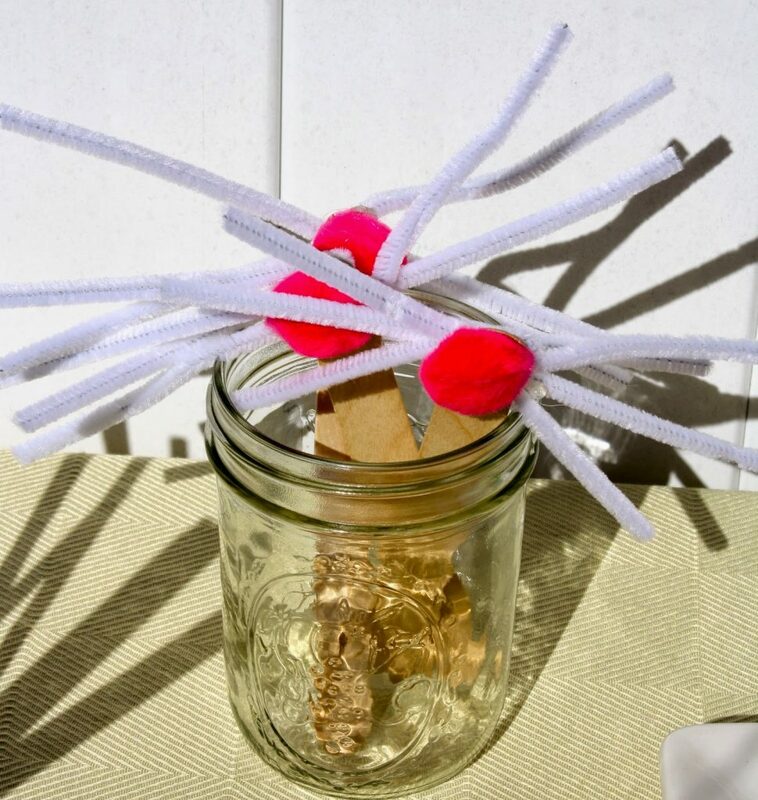 Directions: Glue pom pom to the front of the popsicle stick and glue pipe cleaners to the back. Directions: Preheat oven to 350. Prepare box of Annie’s Mac & Cheese. Grease muffin tin. Melt butter and mix it with the smashed Ritz crackers. Press some of the butter/cracker mix into the bottom of each muffin spot. This will make a crust. You want a little to go up the side too (you are making little pies). Then fill with the mac & cheese & bake for 20-25 min. Enjoy! 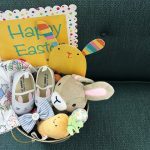 The kids will get treats galore in the eggs they find, but if you do any sort of goody bag for your egg hunt, you can download this free printable to use! 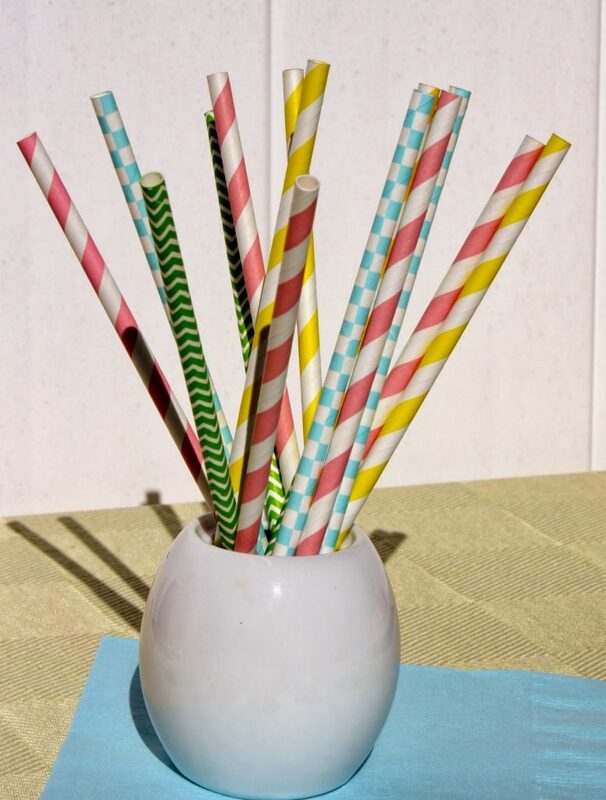 The colorful paper bags are from Outside The Box Papers. 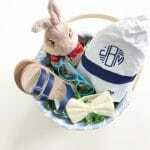 I got these little buckets from I Have A Favor for my girls, but they could be a nice little surprise for guests too. 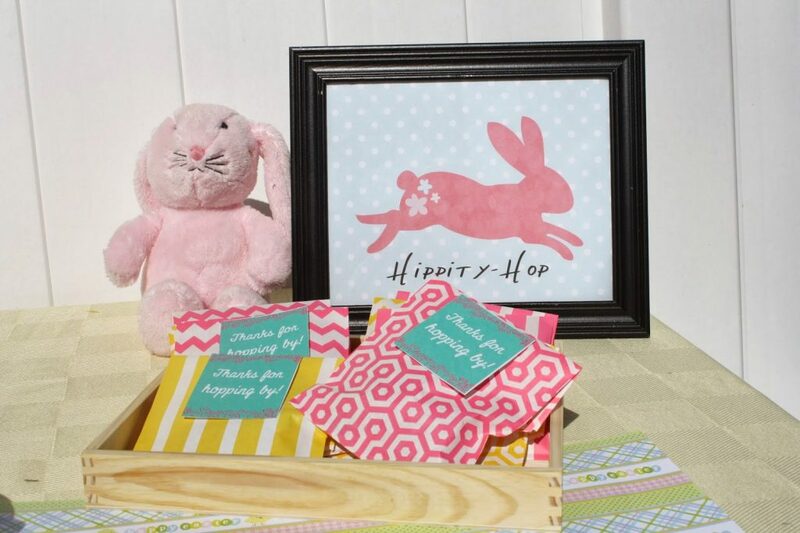 You could also them as a gift for any little ones you’ll be visiting on Easter. 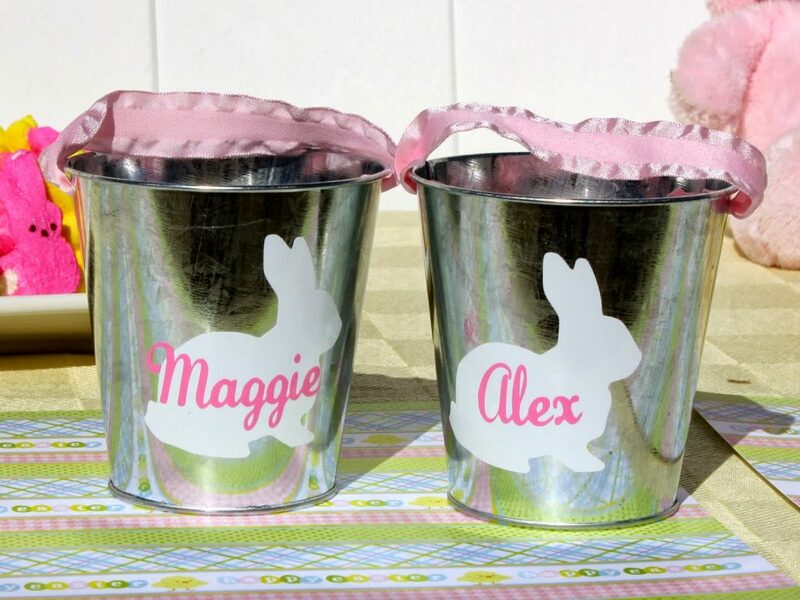 I Have A Favor also has full sized personalized Easter buckets and whole range of party favors for birthday parties. 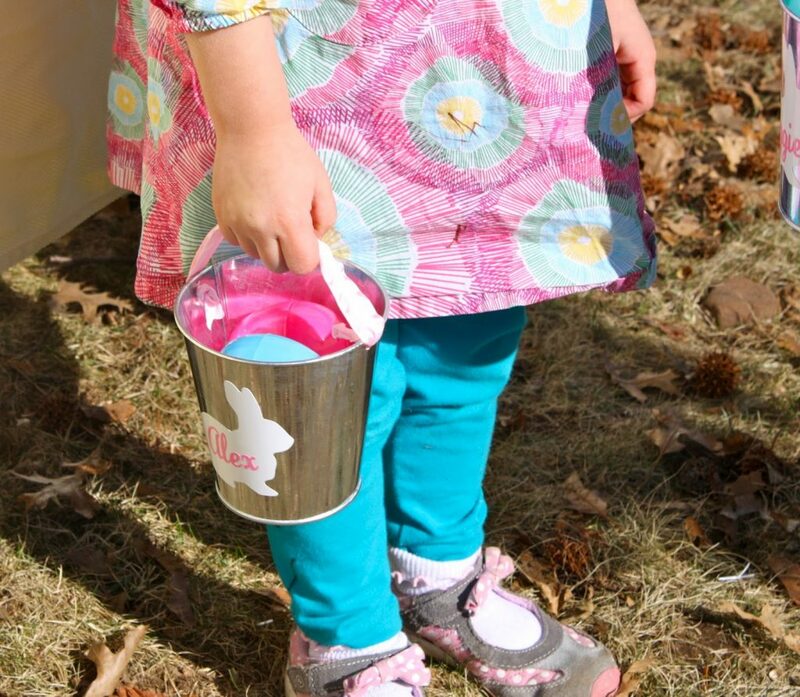 The shop’s custom sippy cups were a hit at Alex’s first birthday party! 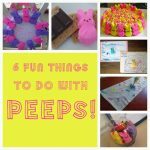 Make sure to visit our Seasonal tab for all of our fun Easter posts! cute! I love the decor ideas. I need to check out this shop, they seem to have adorable things! 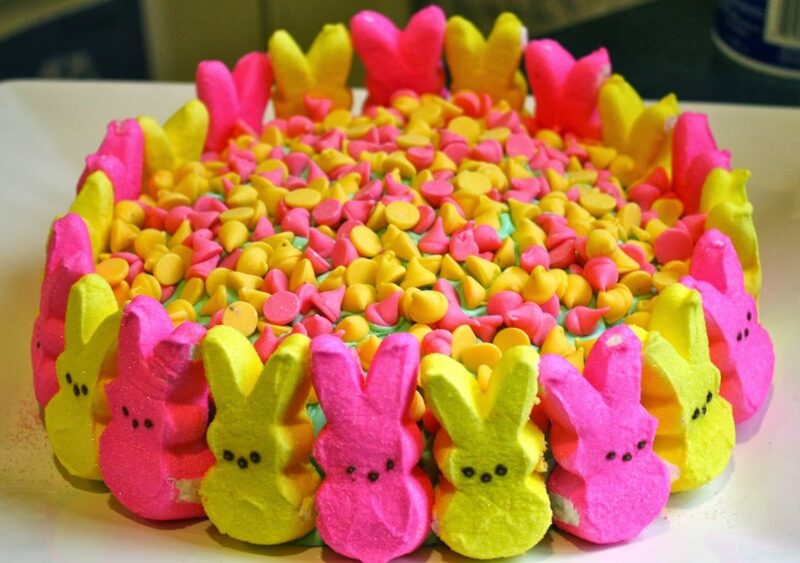 Oh my goodness does this look like fun….and that PEEP cake!!!!! 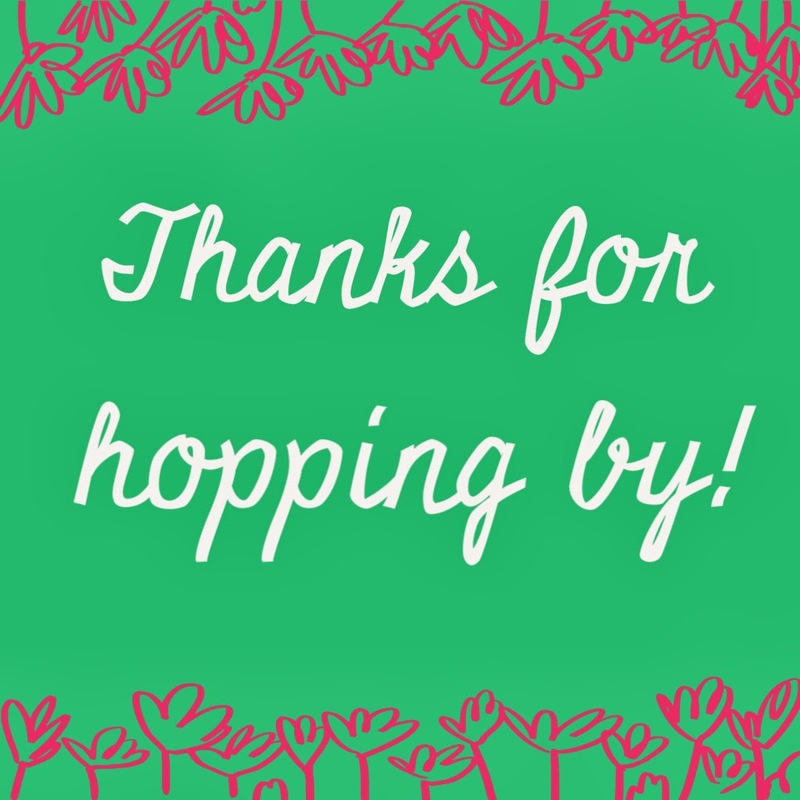 Thank you for sharing on Movement Monday at The Inspired Treehouse! Awesome ideas! 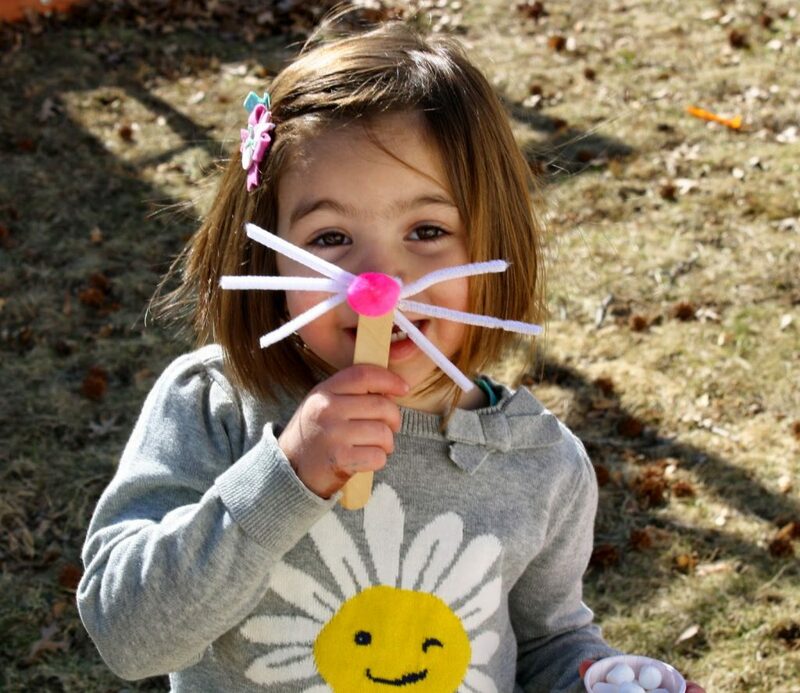 I'm trying to help plan an Easter party for my daughter's preschool and I think we'll do the Easter egg hunt where parents bring treat-filled eggs and the bunny "disguise" as another activity!